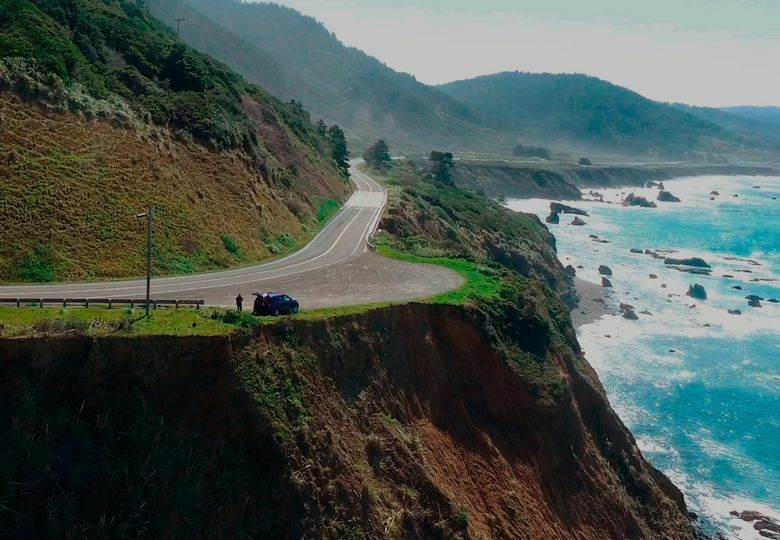 At 3:38 p.m. on Monday, March 26, 2018, a German tourist called authorities from the Juan Creek crossing on California’s scenic Highway 1. She had seen something jarring: a brown sport-utility vehicle, upside down, in the Pacific Ocean. Within about three weeks, authorities would also discover the remains of four of the Harts’ six children — Markis, 19, Jeremiah, 14, Abigail, 14, and Ciera, 12 — and declare them all dead, too. They eventually unearthed skeletal remains inside a woman’s shoe, and announced this month that they belonged to 16-year-old Hannah. Devonte, 15, is still considered to be missing, but is presumed dead. Jennifer, 38, had been drunk at the time of the crash, and Sarah, 38, and two of their children had in their systems a significant amount of an antihistamine that can cause drowsiness, law-enforcement officials said. And they show that by that fateful Monday last March, as child-welfare officials came knocking, some neighbors, relatives and co-workers were growing alarmed. Law-enforcement officials in California have issued only one statement on the case since May, though the investigation continues. Relatives and friends of Jennifer and Sarah declined to comment for this article. Still, the documents illuminate the complicated family dynamics among the Harts, a white couple who adopted six black children. Jennifer Jean Hart and Sarah Margaret Gengler grew up about 150 miles apart in South Dakota and met at Northern State University. By 2005, they were living together in Alexandria, Minnesota. “The Hart family takes every opportunity to celebrate the children’s ethnic heritage,” a caseworker wrote in a report for the Permanent Family Resource Center, a foster-care and adoption agency in Fergus Falls, Minnesota, that later closed after being cited for code violations. The caseworker “whole heartily” recommended that the family be able to adopt a second sibling group. In a March 2009 email, Jennifer shared plans for the family’s next step: Sarah is “trying to get pregnant,” she wrote. A few months later, Minnesota Child Welfare received six reports of abuse or neglect by the Harts, two of which it deemed credible. In one episode, Sarah admitted to having physically harmed Abigail. Records show Sarah was convicted of misdemeanor domestic assault. 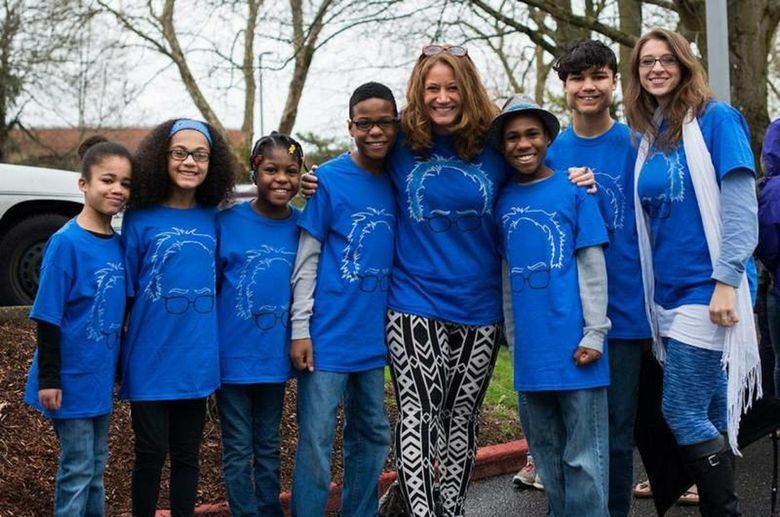 The family then made its first major move — to West Linn, Oregon — where an anonymous person told officials that the Hart children appeared malnourished. Investigators in Oregon began an inquiry and interviewed women who knew the family and described them as militant parents who imposed harsh disciplinary measures on their children. But at a 2014 demonstration in Portland, Oregon, to protest police violence, Devonte was photographed with a pained expression hugging a white police sergeant. The image went viral, and it was time to move again. By May 2017 the Harts were living on more than two acres in Woodland, Cowlitz County, Washington. The only two other homes nearby were shrouded by trees and fences. Still, DeKalb was worried. In the months that followed, none of the Hart children would speak with her when she tried to talk with them. Devonte told the DeKalbs his parents were withholding food as punishment, but would ask them not to tell his “mom” that he was visiting, Dana DeKalb said. When she asked which mother, he explained that there was “Mom and Sarah” — and that “Mom” was responsible for the abuse. Sarah “didn’t used to go along with it,” Devonte told Dana DeKalb, but was now “tolerating” Jennifer’s behavior. “I absolutely, from the bottom of my heart, trust what he said,” Dana DeKalb added. Dana DeKalb contacted the state’s child-welfare agency the next morning, Friday, March 23, 2018. Video reviewed by investigators showed Sarah Hart leaving Kohl’s at 5:26 p.m. on March 23 in a white Pontiac. A child-welfare official responding to Dana DeKalb’s call that morning arrived at the Hart home about 10 minutes before that and saw a gold SUV come up the driveway and pull up to the Hart home, according to a report. So the caseworker knocked on the front door. No answer. She left her business card. The authorities later reviewed video of what appears to be Jennifer at a Safeway the morning of Sunday, March 25. The supermarket was about 25 miles from the Juan Creek crossing on Highway 1.